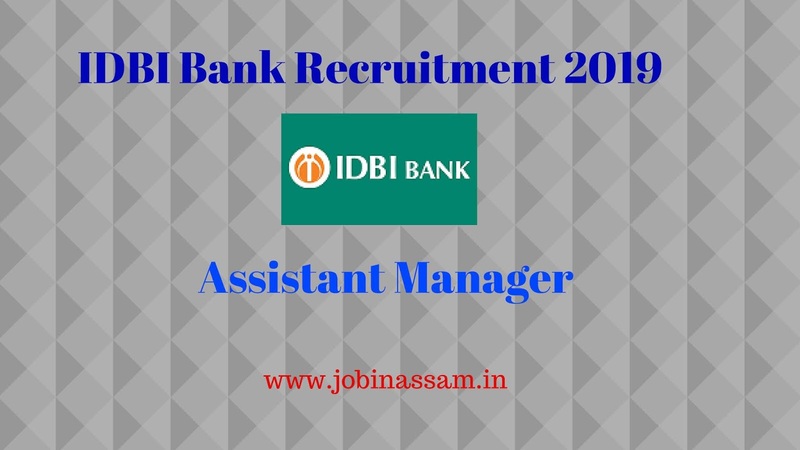 IDBI Bank Recruitment 2019 || 500 Posts || Apply Online Now: IDBI Bank (51% shares held by Life Insurance Corporation of India) invites online applications from eligible Indian citizens for the post of Assistant Manager. 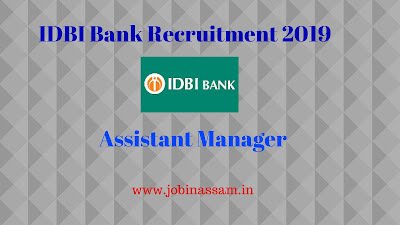 Candidates fulfilling required eligibility criteria may apply On-line through the link given in Bank's website. Candidates can apply only online from 04.04.2019 to 15.04.2019 and no other mode of application will be accepted. Link for the Online Application is Given below. Age Limit: Minimum-21, Maximum- 28. Age relaxation is as per rules.